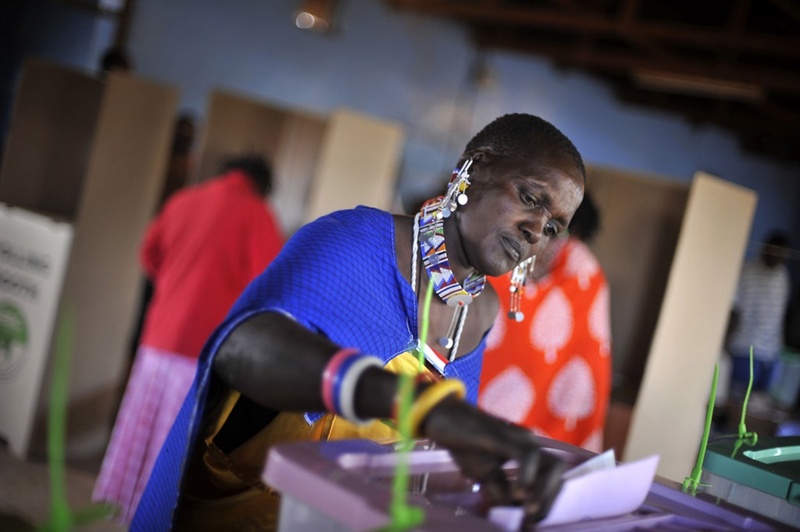 Barring any last minute change or interference from state authorities, the result of Kenya's highly disputed presidential election will be announced before Tuesday, October 31. Kenya’s election commission has earlier announced plans to publish results from the repeat presidential poll at 15:30 on Monday. This was announced by its Vice Chairperson, Consolata Maina during a news briefing. The election was largely boycotted by opposition leader, Raila Odinga and members of his party. At least 25 constituencies did not have access to polling units due to protesters demanding that the entire poll be scrapped. President Uhuru Kenyatta has reportedly won 98 percent of the vote with 266 out of 291 constituencies reporting results in his favour. This is according to results displayed at the national tallying center. There has been significant unrest in the country with several private businesses and tourists being uncertain of what the outcome would be. At least 3 people were killed in clashes between protesters and the police while voters tried to make their way to polling units. ALSO READ: WHY WOULD ANYONE SAY 'BUHARI IS THE FATHER OF CORRUPTION'?